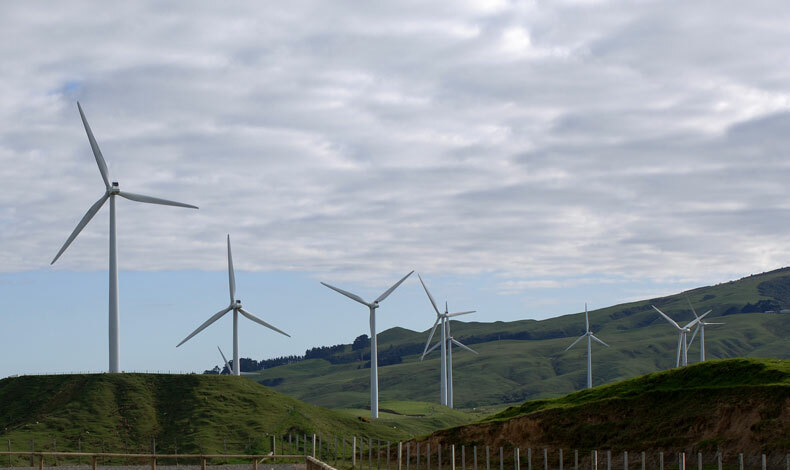 The Te Apiti Wind Farm comprises 55 turbines located over 1,250 hectares of farmland in the Tararua district. It was the first wind farm to supply electricity to New Zealand’s national grid. – presentation of expert witness evidence at the subsequent planning hearing. Our consultants worked with the Tararua District Council, Horizons Manawatu-Wanganui Regional Council, Department of Conservation and various other agencies to identify and address issues early on in the assessment process. The visibility of the turbines and their potential effects on the foothills of the Ruahine Ranges was one of the main issues addressed. We prepared a series of computer-generated visual simulations to help people visualise the proposed turbines from representative viewpoints in and around the Manawatu Gorge including viewpoints from landscapes on both sides of the gorge. These simulations were used very effectively as a communication tool during public consultation and the planning hearing. Possible effects on wildlife populations moving between the Manawatu Gorge and the Ruahine Forest Park were also of concern to various stakeholders. Our ecological assessment included a review of international research, backed up by field surveys, which resulted in some aspects of the wind-farm design being modified to avoid identified sensitive sites. Consent was granted in September 2003 and the wind farm began generating electricity a year later. Landscape planning assessment, ecological assessment, visual simulations and expert evidence.